Our Summer 2019 application is now available, so apply today! Please contact us at experiment@worldlearning.org or at 800 345-2929 with any questions. The application process has two steps. The first is your application for admission to The Experiment, and the second is the submission of your confirmation materials. In your online application for admission, you will be asked to complete an application form with personal information; short answers; an essay of between 300 and 500 words; and one letter of reference from a teacher, mentor, advisor, or coach. Once you complete your application for admission, you will be asked to submit, via the online application portal, your confirmation materials, including all of the items on the tabs below. After your child submits his or her online application, if your email address was entered, you will receive login credentials to The Experiment’s parent/guardian resource website, where you can view your child’s application, update your contact information, download confirmation materials, and enter additional information about your child. To access the parent/guardian site, you or your child must enter a unique email address on your child’s application. Pre-registration allows you to immediately confirm student participation online by submitting the $50 application fee and $400 deposit. Program preferences are pending availability at time of enrollment or pre-registration. You can view the current availability of our programs here. You will find the pre-registration option on the Program Selection page of the application after you have logged into the Student Portal. Please note that this pre-registration option is only available to applicants who will not be applying for financial aid. Alternately, you can scan and email your signed passport copy to us at experiment@worldlearning.org. The copy we receive must include the first two pages — photo and signature page. Be sure your passport is signed. You are responsible for making sure that your immigration documents are in order for international travel. 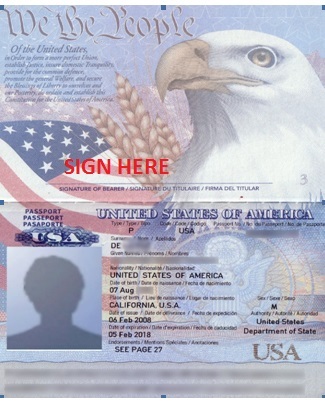 These may include: a U.S. alien registration card, a valid passport, a visa for the country(ies) you would be visiting, and a U.S. reentry permit. Students under DACA are required to obtain Advance Parole by April 15. Consult the U.S. Immigration and Naturalization Service office in your area, and the embassy or consulate of the country you will visit as soon as possible. Some documents can take as long as three months to obtain. To confirm participation, applicants and a parent/guardian (if applicant is under age 18) must submit our signed and dated Conditions of Participation form. At The Experiment, we understand that sometimes plans change. We offer an optional pre-departure tuition protection plan which provides you with maximum flexibility to cancel your enrollment prior to travel. This is an opportunity to protect the educational opportunity you are about to invest in for your child. We strongly suggest that families purchase our Optional Pre-Departure Tuition Protection. You may cancel up until 72 hours prior to your first departure date for any reason, and receive a full refund of your program fees, excluding international airfare. You must cancel at least 72 hours prior to your first departure date. The tuition protection may not be used for upcoming sessions after your initial session has departed. All administrative fees, including the $50 application fee and non-refundable enrollment deposit of $400, as well as the $250 medical form late fee and the $250 inconvenience fee for parents not taking the group flight, are non-refundable. If your account is not paid in full at time of cancellation, the amount you receive back (if applicable) will be calculated from your total program cost (excluding international airfare and fees), not what has been paid. In some cases, this may mean that a refund will not be issued. Optional tuition protection is only available to parent(s)/guardian(s) of students who are not nominated to participate by his/her sponsoring organization or high school. World Learning makes firm commitments to local service providers on behalf of participants well in advance of program starting dates. Therefore, cancellation fees are required in the event of any withdrawal by the applicant for any reason, including health-related reasons or lack of medical clearance. If a participant is dismissed or sent home due to behavior issues or for violation of our program restrictions, no refund will be given. In addition, all costs incurred in relation to a behavior issue or other violation are the responsibility of the parent/guardian and/or the sponsoring organization. All refund determinations will be made after the conclusion of the Program. NO REFUNDS will be given in cases of an involuntary withdrawal or dismissal by World Learning from a Program for reasons outlined in these Conditions, for violations of these Conditions or any applicable Experiment policies, or for any behavior- or conduct-related reason. Please submit the Optional Pre-Departure Tuition Protection registration form online. Our Billing office will send you an invoice for $800 USD, which must be paid before April 20, 2019. If you have any questions about billing, please contact our Billing Office at 802-258-3520 or student.accounts@worldlearning.org. Whether you purchase the Optional Tuition Protection or are comfortable with our standard withdrawal policy, you can always choose to defer your funds in escrow for future travel. If you cancel for any reason up until the day of travel, rather than take a partial refund, upon receipt of your signed Escrow Confirmation Form, we will apply those funds against future travel, subject to the following terms. The Escrow option cannot be combined with any other cancellation terms or policies. Once enrollment is deferred, the funds kept in escrow must be used in accordance with these terms or they will be forfeited. Utilizing the escrow option does not allow for any cash refund. Escrow funds may be applied against future travel, for use in the next two (2) program seasons, or within two (2) calendar years from the original cancellation date, as long as the participant has not yet matriculated into college/university. The Experiment’s international airfare and enrollment and administrative fees are non-refundable and may not be escrowed. Escrowed funds may be redeemed for any Experiment summer program for high school students only, who have not yet matriculated into college/university. Escrowed funds may be used only by original participant or sibling of original participant. Escrowed funds are not transferable outside of original participant’s immediate family. If these escrowed funds expire unused after a 2 year period, The Experiment will contribute the funds to one of its need-based scholarships for lower income families. Forfeited funds will be considered a donation to the Experiment and are tax deductible as a charitable donation. A gift acknowledgement will be sent out if and when the escrow funds expire. Once your escrow is confirmed, our Billing Office will send you a deferral certificate with the value retained in escrow, the expiration date, and the key terms listed above. We will keep a copy of the certificate on record for future reference. Applicants and a parent/guardian (if applicant is under age 18) must review The Experiment’s social media and online policy, which applies to both accepted students and students on program. Download Health Form Parts II and III (Health Report & Examination & Further Health Information), available fall 2018 and schedule a doctor’s appointment as soon as possible. Complete health forms are due within four (4) weeks of your acceptance into a program. The information on this form must be based on a complete physical examination given since June 1, 2018. Only The Experiment’s health forms will be accepted. Other health forms (school, sports physical exam etc.) will not be accepted. The Experiment normally requires that all students participating in the Experiment programs show medical and psychological stability for six months prior to the group’s departure date. Failure to disclose complete and accurate information on the medical form may result in dismissal from the program. Participants and custodial parent(s)/guardian(s) assume any and all liability or costs of any kind related to incomplete or inaccurate health information and forms and treatment or handling of any undisclosed conditions. In order to participate, you must be medically cleared for your program. If you are not medically cleared, you may be asked to join a different Experiment program, or your participation may be denied for medical reasons. We will accept only health forms that have been completed and signed by a health professional (MD, Nurse Practitioner, Physician Assistant) who is not related to the participant or parent. Please contact us at 1-800-345-2929 or at experiment@worldlearning.org to discuss alternative programs. Additionally, please disclose complete and accurate allergy information in your Experiment Health Form. If you have questions, please contact us. The homestay letter is an important first step in establishing a connection with your new host family, as it provides them with information about you. If there is a language requirement for your program, please write the letter in the language of your hosts. Your homestay letter and recent photograph will be given to your host family. Begin your letter with “Dear Host Family,” thank them for accepting you into their home, and tell them about yourself. Describe your interests, your community, your family, or whatever you feel might give your hosts some background about you and ways to better engage with you when you arrive. Please be sure to include a current casual photo of yourself with your family and/or friends. When you are finished with your letter, save a copy of it. Next, insert your saved letter text and personal photos into your online application for admission in the “Homestay Letter” section. Experiment groups are comprised of 10-16 diverse young people from all over the world, and caring host families who want to meet and develop new friendships with our participants. We discourage participants from traveling in the same Experiment group because we care deeply about creating an inclusive environment and strong group dynamics. Pre-existing friendships can adversely impact group dynamics and inhibit relationships that participants will build with their peers and host family members. Most participants come to The Experiment as individuals seeking a fun, substantive cultural experience. From the first hours of the program, our adult group leaders work to build a respectful atmosphere that allows each participant to feel comfortable and develop lasting friendships. We encourage participants to engage fully in group activities and develop a deep connection with their host families and group members. If you still wish to travel with a friend as members of the same Experiment group, both friends and parent(s)/guardian(s) must sign and submit a required Friend Agreement. Please submit your signed Friend Agreement to your Admissions Officer. By signing this agreement, you show us your commitment to reaching out and opening yourself up to each member of your group, group leaders, and your host family during your Experiment summer program. You will find The Experiment can open new worlds, create new perspectives and bring you new friendships, which can last a lifetime.